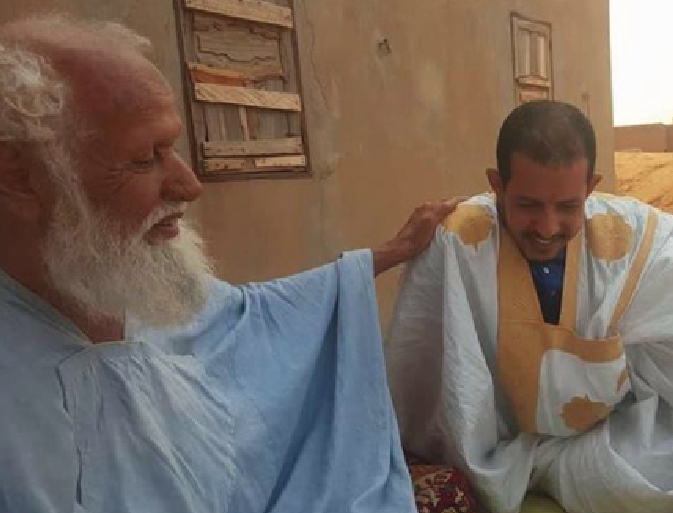 Mauritanian Islamic scholar Sheikh Murabitt al-Hajj has passed away at age 105, online news sources reported. Muhammad Ould Fahfu al-Massumi (Sheikh Murabitt al-Hajj), born in 1913, passed away on Tuesday, said Islam21C.com. Al-Hajj was known for his zuhd (ascetism), worship, and mastering of the sciences of Islam. The sheikh was also the cousin of Sheikh Muhammad al-Hassan Walid al-Dido al-Shanqiti, the head of the northwest African country's Center for the Development of Scholars. In 2016, the Jordan-based Royal Islamic Strategic Studies Centre selected him as one of The 500 Most Influential Muslims. Al-Hajj was also the main teacher of American Muslim thinker Hamza Yusuf, a convert to Islam who is seen as one of the proponents of classical learning in Islam and has promoted Islamic sciences and classical teaching methodologies throughout the world. His books included Enlightening the Obscure in Alfiyyah (1,000 Verses) Bin Malik, Enlightening Readers and Listeners about the Glorious Pearls in Imam Nafi’s (Quran) Reciting Provisions, and The Best to be Said About What Was Conveyed? on Similarities in the Quran and the Prophet's Hadiths.